How do I set the auto-open for inline preview for files using the Rich Content Editor as an instructor? You can use the auto-open inline preview for files in the Rich Content Editor. 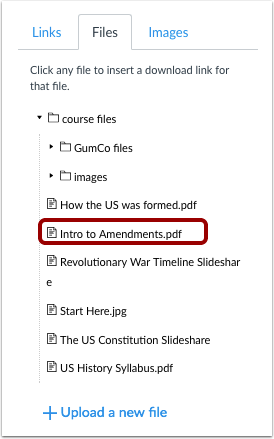 Canvas can preview any file that is supported by the document previewer. 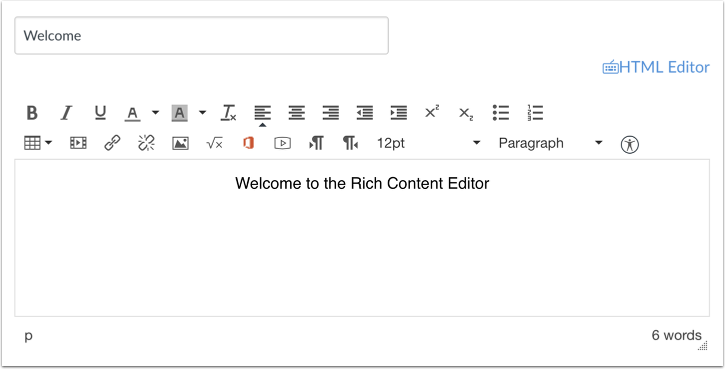 The Rich Content Editor is used in features that support the editor (Announcements, Assignments, Discussions, Pages, Quizzes, or Syllabus). You can have multiple files auto-open, but you have to go through the steps in this lesson every time you want to add another auto-open file preview in a feature that uses the Rich Content Editor. The inline preview window automatically expands to fit a preview of the attached document. The file name will automatically be added inside the Rich Content Editor. Place your cursor over the link and click , then click the Link icon . 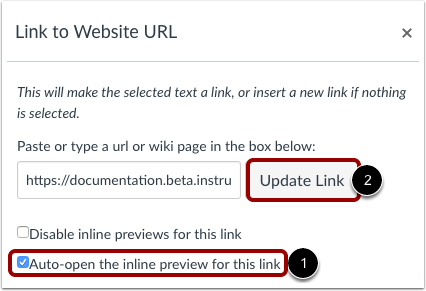 Click the Auto-open the inline preview for this link checkbox . Click the Update Link button . Note: You can have multiple files auto-open, but you have to go through the steps in this lesson every time you want to add another auto-open file preview in a feature that uses the Rich Content Editor. Previous Topic:How do I insert course images into the Rich Content Editor using the Content Selector as an instructor? 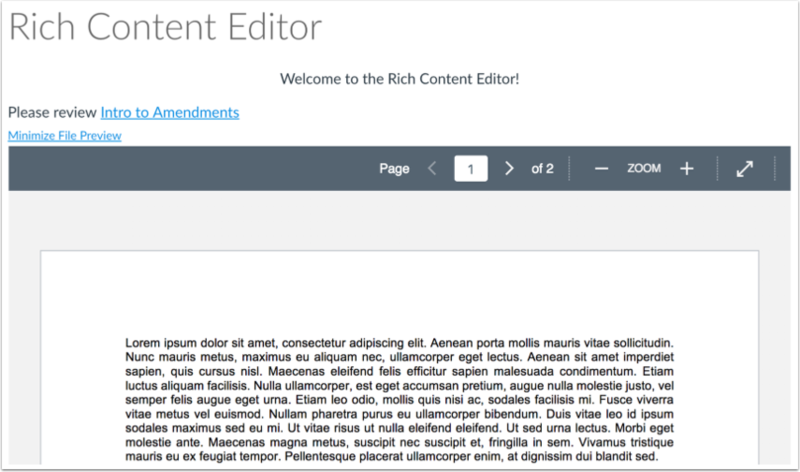 Next Topic:How do I disable inline previews for files using the Rich Content Editor as an instructor? 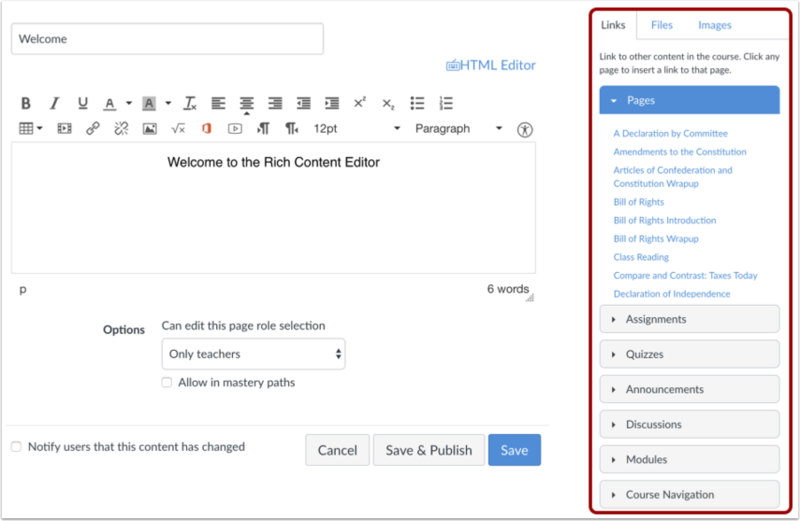 Table of Contents > Rich Content Editor > How do I set the auto-open for inline preview for files using the Rich Content Editor as an instructor? Is Auto-Open deleted or broken? Re: Why does the auto open inline preview box not always appear? Re: How do you attach a Word file?